The frontier remains untamed in the sequel Red Dead Redemption 2 as an epic tale unfolds across the American heartland, from the dusty gulches to the lush rolling hills. Red Dead Redemption 2 also lays the foundation for an all-new online multiplayer world. 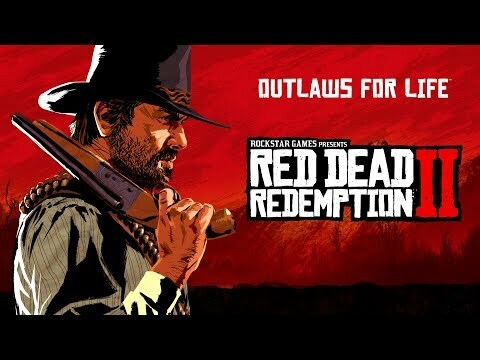 Red Dead Redemption 2 was released on PS4 178d ago in the US and the UK. Based on 41 Red Dead Redemption 2 PS4 reviews, Red Dead Redemption 2 gets an average PS4 review score of 97. The score for all versions is 97 based on a total of 62 reviews. There can be no doubt that this is a landmark game. The writing, visuals, and gameplay combine to make an absolute standout of a title, one that has been well worth the wait. It’ll prove a rewarding experience for anyone and is certainly the best game you’ll play this year. A masterpiece that many will be talking about for decades to come. Red Dead Redemption 2 is a magnificent open world game and one of the greatest games of all time. It makes the original Red Dead Redemption feel like a warm-up, the doodles on the page before the real thing has come to life. The high level of craftsmanship in this game is evident in all its aspects, and it’s genuinely one of the best games of this generation of gaming. It’s just about as perfect as a game can get. Red Dead Redemption 2 will go down as one of the greatest games of the generation, and perhaps video game history. Red Dead Redemption 2 is a game of rare quality; a meticulously polished open-world ode to the outlaw era. Considering the number of people across Rockstar’s entire studio roster that poured their blood, sweat and tears into this game it is no wonder that it actually feels alive. This is one of the most gorgeous, seamless, rootinest, tootinest games ever made, and if you voluntarily miss out on it, you’re either not a gamer or in a coma. It should eventually go down as one of the greatest games ever made. Red Dead Redemption 2 tests the boundaries of interactive immersion. Red Dead Redemption 2 is a modern masterpiece. Red Dead Redemption 2 is an absolute undisputed classic and a legend in the making. Red Dead Redemption 2 not only lives up to expectations, but it smashes them and feels like the missing half of a story we never knew was incomplete. Rockstar have outdone themselves with Red Dead Redemption 2 as it ushers in a new era of what the medium is capable of achieving. This is a powerhouse of a video game, one of the finest, built by people at the top of their game and under intense pressure. Red Dead Redemption 2 is a triumph in world-building, character craft and downright skulduggery. Red Dead Redemption 2 is the video game experience of this generation. Rockstar Games has outdone itself again with Red Dead Redemption II. This is easily a top candidate for one of the greatest open world RPGs of all time. It’s been eight years and well worth the wait. Red Dead Redemption 2 raises the bar for the sandbox genre and stands tall as the definitive western game of this or any other generation. There's some occasional tedium in travel, and a few bugs and annoyances, but nothing that prevents Red Dead Redemption 2 from being an excellent game. We suspect it will still stand among Rockstar’s greatest games, but perhaps not its greatest saga. For a game that many have said would easily be in the running for numerous end-of-year awards, RDR2 certainly makes a strong case for itself. Rockstar more or less invented the modern sandbox game, and it’s a joy to see them finally breaking new ground again. Red Dead Redemption 2 is an open-world game I will return to time and time again. If you have the time and the inclination, buy Red Dead Redemption 2. It's a great game. It doesn't just accentuate the West, but animates it on a new level, with a greater sense of life, community, and narrative. It's epic.